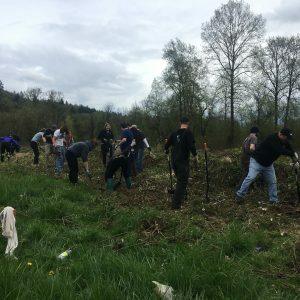 The Ray’s team including owners, managers, chefs, servers and hosts all joined together this week to restore critical salmon habitat along the Snoqualmie River. We teamed up with our non-profit partner Long Live the Kings to volunteer for a day with Stewardship Partners, a local non-profit committed to habitat restoration in the Snoqualmie Valley to help maintain economic viability of farms and forestland while helping landowners restore fish and wildlife habitat. 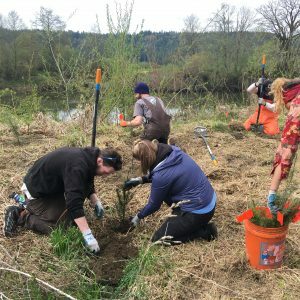 We worked to remove invasive plant species and install native trees and shrubs to enhance salmon habitat and restore the riverbank on an 80-acre farm in Carnation. 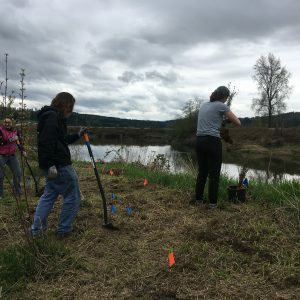 The plants will eventually provide shade for the river that will help keep water temperatures low, providing an optimal environment for salmon to thrive. 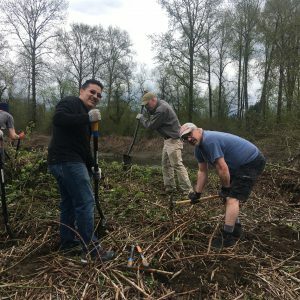 It was a great day working outside as a team to help keep our local salmon habitats alive and well! Check out some photos from the day below. 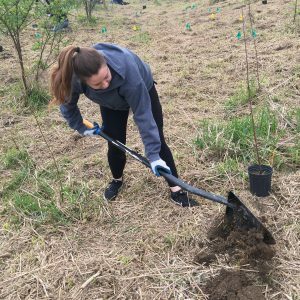 Learn more about Stewardship Partners and how to get involved at stewardshippartners.org. 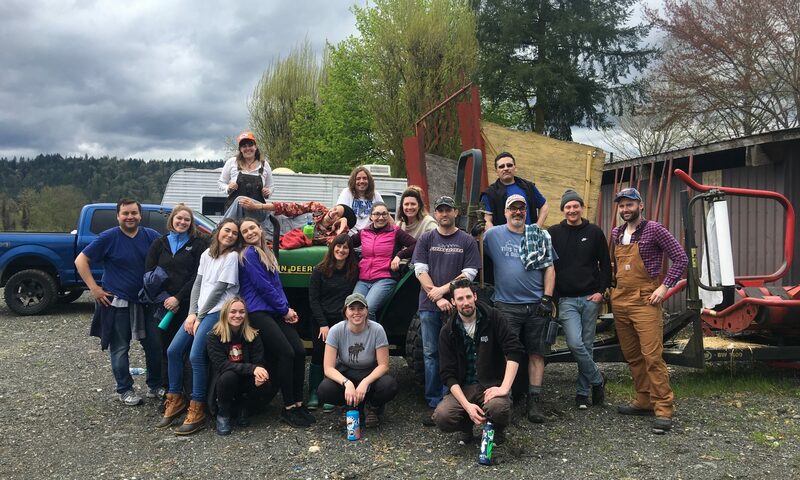 Since our start in 1973 Rays has supported causes that benefit our local waterways, salmon and sustainable fishing. The water is our lifeblood, not just because we sit atop it but because we love to serve fresh fish at Ray’s and support our local fisherman, who depend on it. The future of fish is the future of Ray’s. 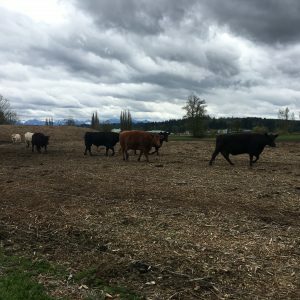 We’ve prided ourselves on doing the right thing from a sustainable fishing standpoint for 45 years and being a culinary leader in the community that helped usher in what is now called Pacific Northwest cuisine. We have a responsibility to protect this and we will not back down. Earlier this month we announced our partnership with local non-profit Long Live the Kings (LLTK) and we would like to take this opportunity to expand on what that entails, how we’ll be working with them in the fight, and how you can get involved. 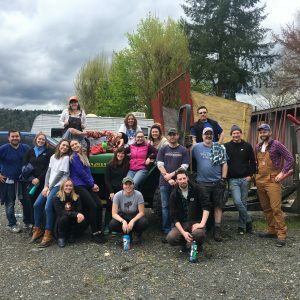 LLTK was founded in 1986 with the mission to restore wild salmon and steelhead and support sustainable fishing in the Pacific Northwest. 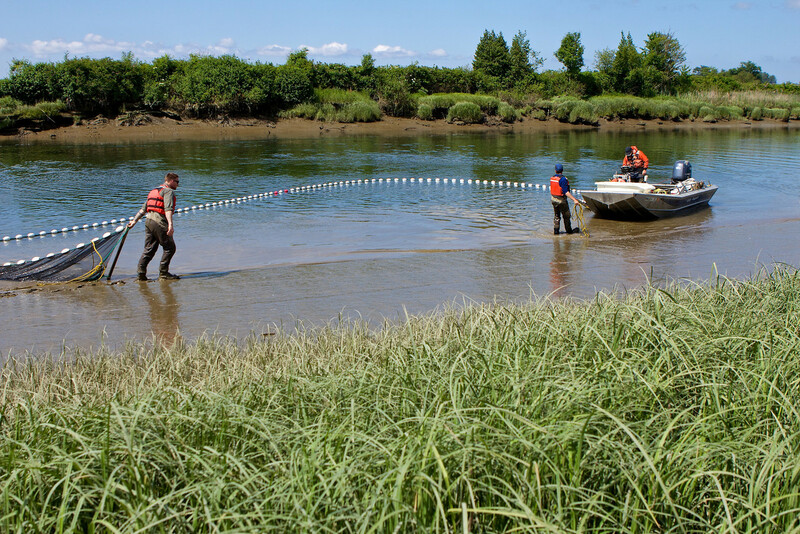 They combine innovative field work, pioneering science, broad partnerships, and sophisticated new management tools to help decision-makers advance salmon recovery while balancing the needs of fish and people. Our involvement with LLTK began with an internal education for our entire team where they were fortunate to receive a training session from Executive Director Jacques White about how LLTK is working to restore our local salmon runs. It’s something staff can share with our guests and also take pride in their knowledge of what it takes to keep wild salmon thriving in the Pacific Northwest. 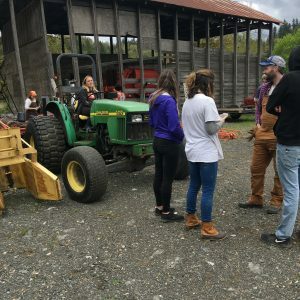 We have staff field trips in the works and our goal is to get as many of our team as possible out there with LLTK to experience a hands-on working trip and understand their work even further. We are currently running our Salmon Safe Wine promotion in the Café and Boathouse with $1 from each glass or bottle sold going to LLTK now until November 7. This is a first step to invite our guests to get familiar with LLTK and do something simple to help make a difference. You can look forward to many more ways to support LLTK at Ray’s through the end of this year and into 2019! 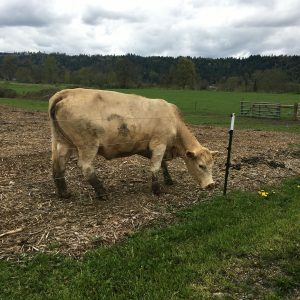 We also encourage you to visit lltk.org to sign up for their newsletter and get informed on the many exciting projects and events they have in the works.